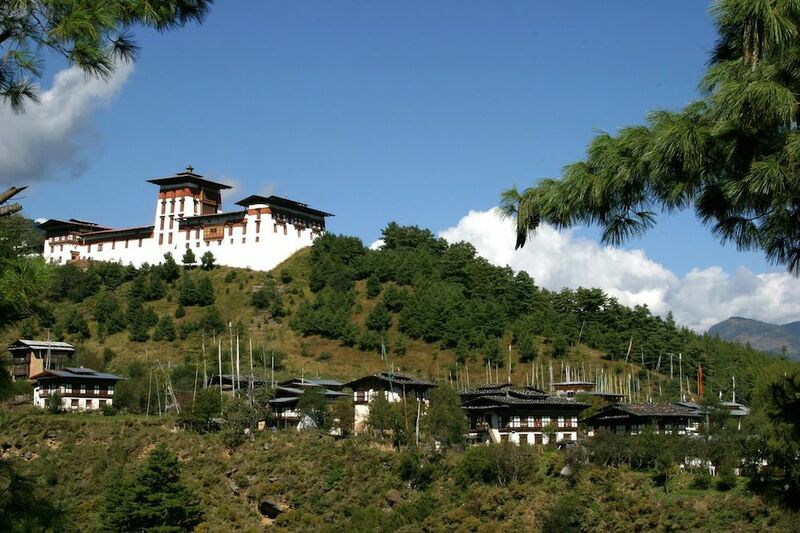 Beyond the cultural glory and festivity glamour, Bhutan is equally an adventure paradise. In the groups of various adventure activities mountain biking is one of the well-established adventure sports enjoyed by wanderlusts seeking to experience the elaborate beauty of destination places in hurry less fashion. 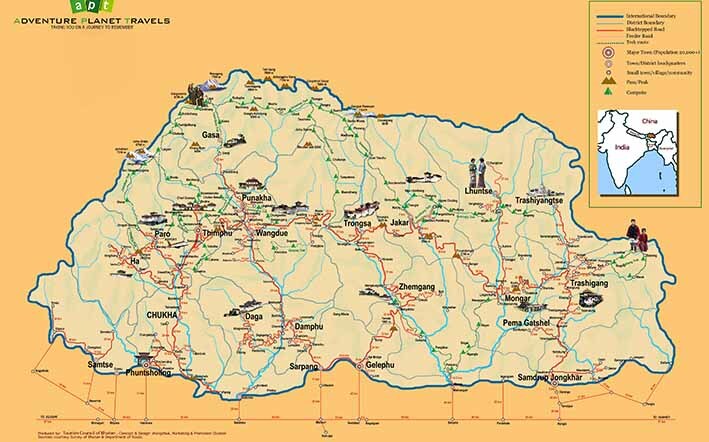 It offers much-needed thrill of rural beauty, lush and scenic landscapes and gruelling experience of true Himalaya adventure. 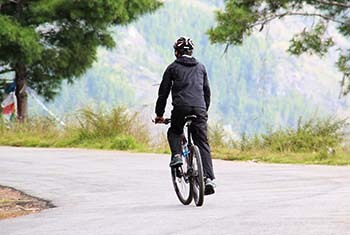 Generally biking trail follow the national highway spanning from west to east meandering through interlocking hills, valleys, mountain pass, thick forest and along the river bank. This makes bikers drain substantial amount of energy and some time demands a walk and ride combination. The road trail is mostly black topped in the western regions and as you head to the east you will encounter rough road. This could be because of road widening works in progress or because of landslides if it’s in the summer. Mountain biking will be more fun in the company of your local guide, fellow riders and carriage van. Add on we offer mix options of hotel accommodation and open land campaign to maximise the joy of wheels over hill experience. Alternatively there are ample opportunities for those aspiring to enjoy off the beaten adventure. 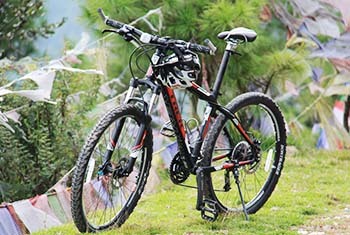 The western districts of Paro, Punakha and Thimphu have well maintained trails leading through thick forest, rural village and stunning hills enabling highest degree of adventure excitement.Unlike in the other destinations Bhutan has a high demand for the usage of mountain bikes built to withstand the toughness of Himalayan landscape and not so well developed road trail. Use of road bike is not favoured in all of the places except in few places like Paro and Thimphu. 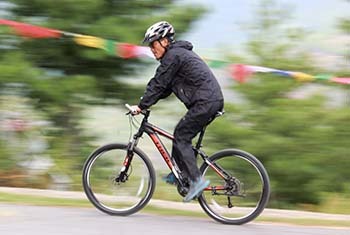 In general use of mountain bikes is dominant in Bhutan. Arranging bikes is an easy process. However if you wish to bring your custom bike to retain maximum comfort you are at liberty. 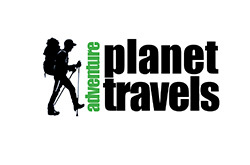 Adventure planet has an extended period of experience in organizing biking tour and we joy in making your dream come true. We have a list of biking tour packages to let you familiarise with how we proceed with planning from start to finish point. On contrary we will be happy to accommodate your requirement and draft a fresh custom design package to match your preference.